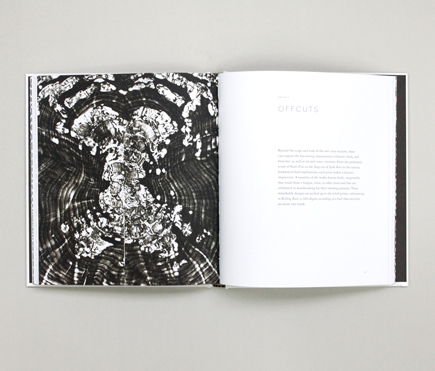 Woodcut is a beautiful hardcover book we recently picked up in New York. 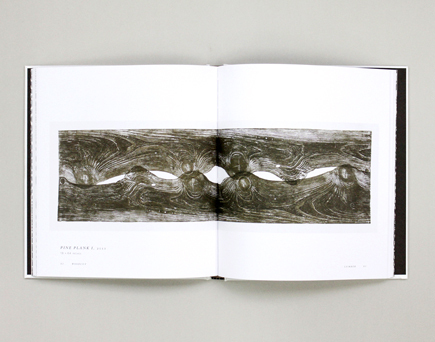 Published by Princeton Architectural Press, the book featuring the works of Bryan Nash Gill, the prints show a wonderful array of textures, shapes and lines. "Gill's prints remind us that every biological form possesses a unique footprint. It's our instinct now to attribute it to the details of the genetic code. But the distinctiveness of these woody footprints — face-prints, fingerprints, spinal-prints, whatever you choose to call them— is shaped by history, by event" writes Veryln Klinkerborg in the foreward. We love this new addition to our studio's library and have found inspiration amongst its 120 pages. Woodcut is available here.